Desmond Mpilo Tutu is a South African activist and retired Anglican archbishop who rose to worldwide fame during the 1980s as an opponent of apartheid. 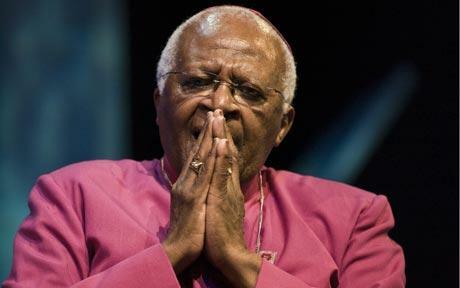 Tutu has been active in the defense of human rights and uses his high profile to campaign for the oppressed. He has campaigned for the rights of Palestinians, to fight AIDS, tuberculosis, poverty, racism, sexism, homophobia, and transphobia. Tutu received the Nobel Peace Prize in 1984; the Albert Schweitzer Prize for Humanitarianism in 1986; the Pacem in Terris Award in 1987; the Sydney Peace Prize in 1999; the Gandhi Peace Prize in 2005; and the Presidential Medal of Freedom in 2009. He has also compiled several books of his speeches and talks. 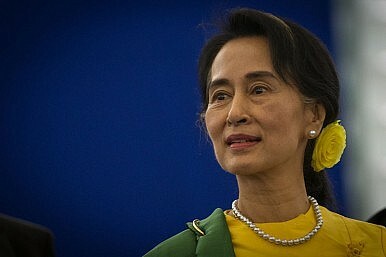 Anticopyright: Editorials and articles originated on TMS may be freely reprinted, disseminated, translated and used as background material, provided an acknowledgement and link to the source, TMS: Desmond Tutu: Dearly Beloved Younger Sister Aung San Suu Kyi, is included. Thank you.